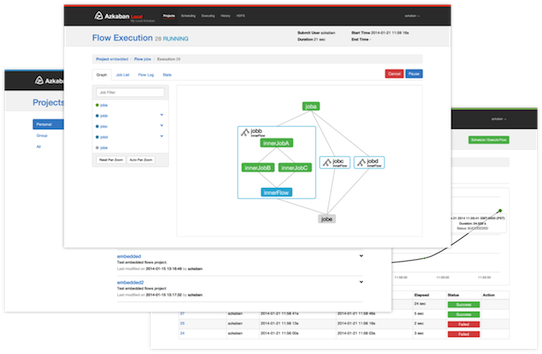 Azkaban is a batch workflow job scheduler created at LinkedIn to run Hadoop jobs. Azkaban resolves the ordering through job dependencies and provides an easy to use web user interface to maintain and track your workflows. Azkaban was designed primarily with usability in mind. 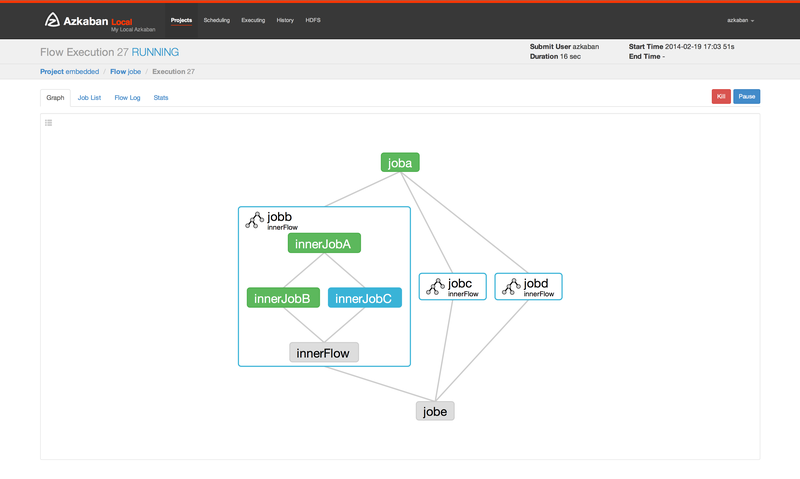 It has been running at LinkedIn for several years, and drives many of their Hadoop and data warehouse processes.